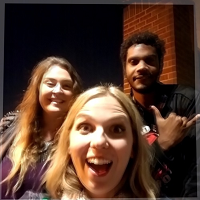 In #32 Jessica and Kelly had on friend of the pod Myke Wright and the three of them went to see the latest, cutest family film Coco. Pixar always crushes it and this one proves it. Did they laugh? Did they cry? Did they feel all warm and fuzzy inside after the movie? Listen to the pod and find out! Nameless Stoners SUSHI mukBONG + GIVEAWAY WINNER !! !